The Bonnies are one game away from the NCAA Tournament. Say that again to yourself, slowly. It’s impossible not to smile. 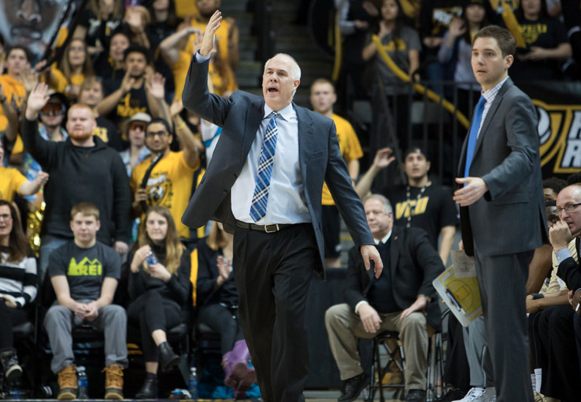 The team who was picked 9th in the preseason poll, who was 4-10 in January, and who was down by 15 points in the first half of the semi-final game, is now storming into the A-10 final. The Bonnies will take on either Davidson or Saint Louis, pending the result of the second semi-final game. With four minutes remaining in the first half, the Bonnies were trailing the Rams 29-14. The offense looked miserable. The Bonnies two seniors (Stockard and Griffin) were a combined 0-10 from the field, and the ball was stagnant every time the Bonnies had it. To make matters worse, Rhode Island was getting easy layups, and making threes. Then the freshmen did what has become almost expected. Budding superstars Kyle Lofton, Osun Osunniyi, and Dom Welch combined to score 49 of the teams 68 points. Lofton added 5 assists, Osun had 11 boards and 4 blocks, and Welch (the same Welch who had the reputation of a below average defender in high school) had 9 boards and 3 blocks. How often do you have freshmen being asked at a postgame press conference how THEY helped the seniors? Well, those questions were warranted, as the three rookies performances overshadowed Stockard’s absence in the previous two games. Stockard has connected on only four field goals in the previous two games and is shooting 23% from the field so far in the A-10 Tournament. The Bonnies will not win on Sunday without a better performance from Stockard. I know, I know, I said that before both the George Mason and Rhode Island games, but do you really think the Bonnies can manage three wins in a row without any offensive production from their top scorer? Stockard has a penchant for winning big games. Last season he hit the game-winning shot against Maryland, sealed the Syracuse game by taking a charge and knocking down two free throws, and dominated against UCLA in the First Four. He’ll need another big performance if he wants to go to a second straight NCAA Tournament. The Bonnies will play either St. Louis or Davidson. The Bonnies have won their last nine against SLU and beat them only a week ago, 66-57. While they may have won by nine in their previous matchup, the contest was heavily contested the entire way. Davidson, on the other hand, seems to be the Bonnies kryptonite. They’ve pounded the Bonnies in both of their meetings this season, by nine in the first matchup and by 18 in the second. Kellan Grady always seems to play his best against the Brown and White. Would the Bonnies have a better chance of beating SLU? Probably, but both matchups pose different challenges. Either way, given how this season has gone, you have to think the Bonnies have a very good chance of winning tomorrow.